March has been designated as National Sleep Awareness month, but I thought I would talk about it this month as good sleep is something I have been prioritizing lately. When I was expecting my first son, Karson, my sister, my mom and a friend hosted a baby shower for me. My sister, Martha, had a notebook for guests to write down their best advice. It was a sweet and thoughtful idea and I looked forward to reading everyone’s advice. After the eventful day of celebrating with dear friends and family, I read the notebook. I still remember two pieces of advice that really stood out. I laughed as I read the advice from my childhood friends, Mckenzie and Tarah. They wrote, “Don’t drop the baby!” Hahaha, it still makes me laugh. It is a very valid piece of advice. Luckily, I did not drop my sweet baby, Karson. The other piece of advice was given by a wise-mom and retired educator, Jackie. 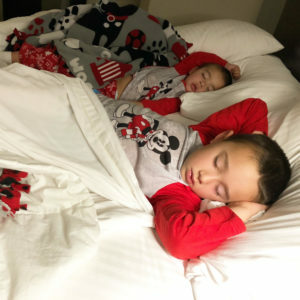 Jackie wrote, “Enjoy motherhood and rest as much as you can. 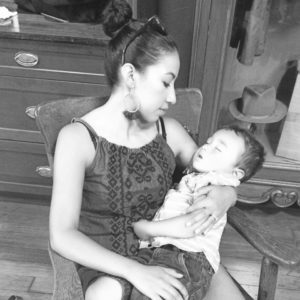 When the baby sleeps, take naps with your baby.” Initially, I did not think much of it but as my baby came, the advice took on a real significance. 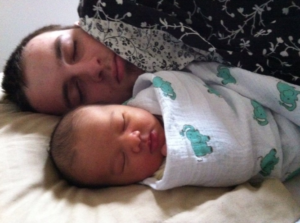 By the time that Karson was about two weeks old, I was a combination of exhausted, fatigued and weary. Labor itself was work, and then I was trying to figure out breastfeeding with an infant that had a very big appetite! Karson woke up every two hours to eat. Then I changed his little diaper, burped him and, he fell asleep. I then would clean up and try to rest; however, by then, he would be up again. I could barely sleep. Plus, motherhood was remarkably exciting! I had this warm little cherub child that I had the honor to call my son! Which meant, when I should have been sleeping I did not. I instead found myself watching him in his sleep. I observed his breathing patterns, his long lashes, and made sure he was snug and warm. Instead of sleeping, I was absorbed how charming, mushy and lovable he was! My eyelids were so heavy and I so badly wanted to melt in my bed and simply get some rest. I just wanted to sleep. I called my mom and sister and asked if they would watch Karson while I got some rest. They were happy I asked, and they were so excited to get to snuggle him while I slept. After a few hours of uninterrupted sleep, I woke up refreshed and replenished with more energy. I learned that asking for help is not a big deal and sometimes necessary. Sleep is essential and must be prioritized every day. When my second son, Samuel, was born, I took Jackie’s advice and napped with him a lot—something I should have done better with Karson. At the time, motherhood was very new and exciting. Karson was the first grandchild on both sides of the family. He very loved from the get-go, but new moms have more to do than just watch their baby’s sleep. Somebody has to clean, do laundry, grocery shop, and pay the bills. Eventually the tiredness catches up to you. I learned this hard lesson over time, and now I truly value sleep. In fact, my husband Kody and I, invested in a new king- size bed so that we could really get some good sleep!! It only took us about eight years to finally purchase a new roomy and comfortable bed, but it was worth the wait! I am a meticulous person. I like a clean room and the temperature set just right. Reading a book helps me unwind, and a comfortable pair of pajamas encourages a good night’s sleep. As parents, we know how essential sleep and rest is for our little ones. We do not always prioritize rest for ourselves. If you would like more information around sleep be sure to check out these links!